Hi everyone, Darcy here with our newest topic. This time we will be exploring the world of doodles. This is something most of us have done all our lives, from being very small and 'scribbling' through to 'doodling' whenever bored. I am sure you doodled on school notebooks or on your pencil case, perhaps the names of 'crushes' in a love heart? 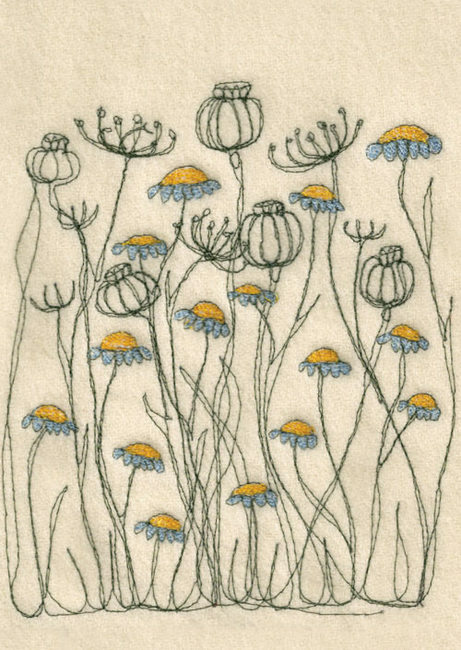 perhaps cartoon doodles of friends and their names, maybe you were a flower power person and covered everything in sight with doodled blooms. 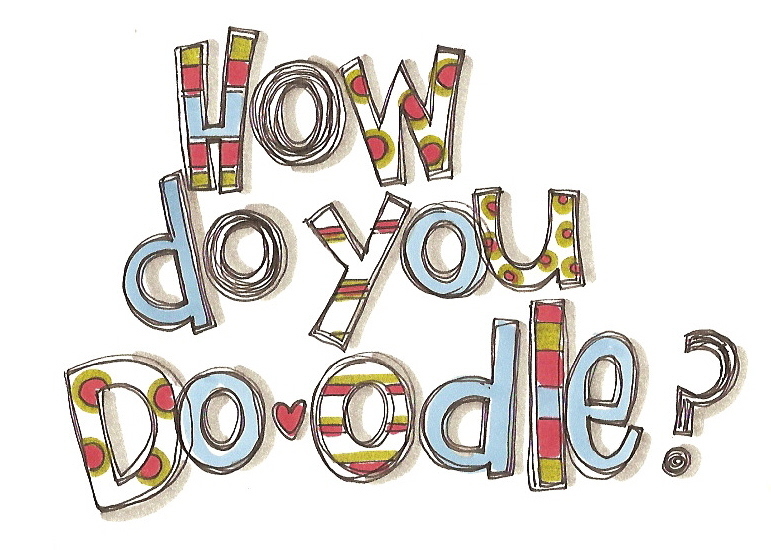 Did you know that doodling can help you concentrate, it focuses that part of the brain that is easily distracted. It prevents daydreaming which is a huge drain on brain power, and so actually helps you recall information. 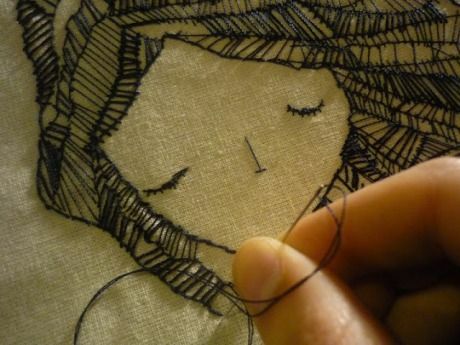 It also relieves stress, and if used as a warm up exercise it can make you a better artist. Perhaps you scratched your doodles into your school desk, or into the walls of the bus stand - and while you thought this was art, or rebellion, the teachers had another word for it! Did you even realise how creative you were being? In recent years doodling has become a commercially based thing, there is no need to doodle on your journal or pencil case or bag as they are mass produced with the doodling already there. Talk about taking the fun out of it! There are books on the subject and even workshops, who would have ever thought that we needed to be taught how to doodle? Before we dive deeper let's see who won the Topic 9: Mono Printing Challenge..
What a wonderful array of prints we have seen over the past 2 weeks from guests and challenge entries. Your gelli plates have been well used, perhaps for the first time? and you have produced so many diverse projects. So how did doodling start, is it something we all do instinctively? I guess it all depends how artistically you view the images. We now view cave drawings as wondrous examples of ancient art and expression, but what if to the cave man they were just doodles to pass the time between hunting sabre toothed tigers! I believe that everyone doodles, and as such everyone makes art, sure there are degrees of technical ability but when you come down to it, everything breaks down to the same basic shapes that we see in doodles. This is a little dismissive of doodling which is a shame, as doodling does not happen by itself. it requires some, and sometimes all, of our sensory skills. Once they become more deliberate, more effort is required to make them and more concentration is needed. They are then less doodles and more drawings. Neither is better than the other, just different and both still immensely interesting. The most interesting thing I find is that although nobody tells us what or how to doodle we often all end up creating the same shapes or images. How is this possible, are we one collective hive mind of doodlers? Doodles come in all shapes: Straight and curved lines, circles and spirals, suns, hearts flowers, loops , clouds,cursive letters, waves and trees. These are all quite linear and based on natural forms. Then there are the more geometric images: squares, triangles, boxes, walls, towers, numbers, block letters. There are also more energetic shapes, such as arrows, stars, zigzags, diamonds, crowns, things in motion. 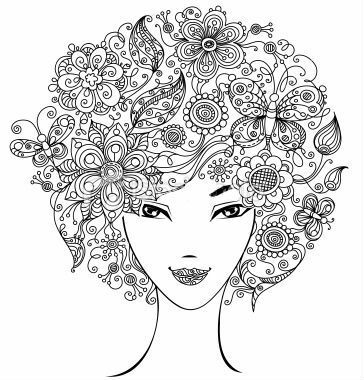 People who study these images believe they can tell a lot about the doodler by what they have drawn.. do you think your flowers mean you are emotional? or that your squares mean you are down to earth, or that your stars mean that you are determined? When it comes to art everything needs balance. A piece that works really well will incorporate many things: size and shape and direction should be considered. Just like colours, shapes too can be harmonious or complimentary. 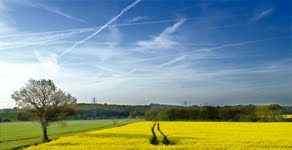 Weight of lines and colour are other elements to think about, and a balanced mix can produce a visually stunning piece. Depending on how these elements are brought together the art can exude contrasting emotions: from bold lively excitement to more subdued and calmer feelings. 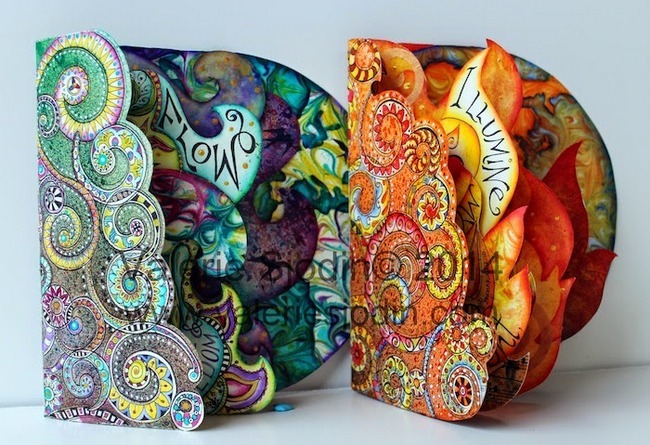 A recent phenomena is Zentangling, this is a registered name and refers to the more structured side of doodling, where the artist enters a 'zen' like state of relaxation and freedom: almost a form of meditation. There are courses and books available which teach the specifics of the many patterns. 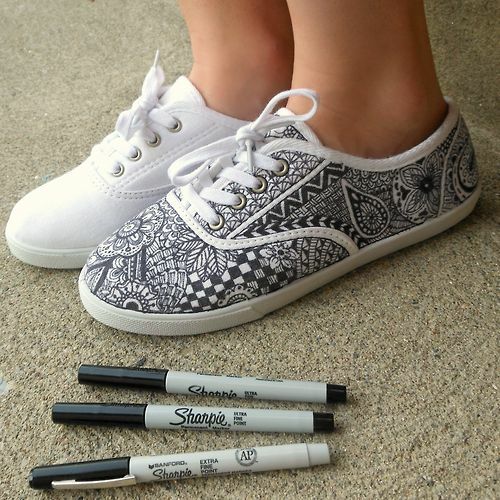 You do not have to buy into the Zentangle brand, any paper will do as will any pen. Use what you have, what you like, what you feel comfortable with. 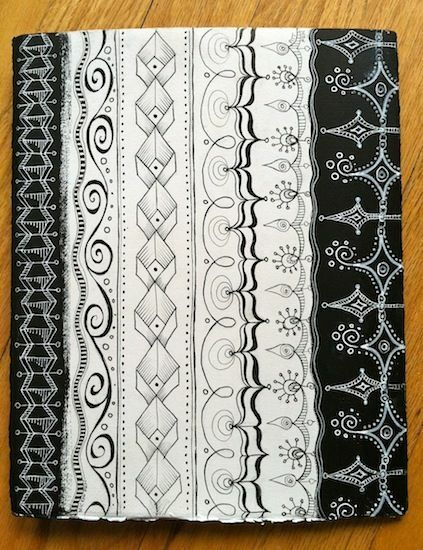 However if you would like to see how a Zentangle is drawn then this video will show you the basics of how to create a string, adding your pattern and finally some shading. In it's purest form doodling would be black and white, as in just pen or pencil and the substrate. But we have access to so many wonderful mediums for colouring that it follows that we would want to include colour in our patterns. these can range from a painted background with doodling over the top, to specific areas shaded with coloured markers or pencils. 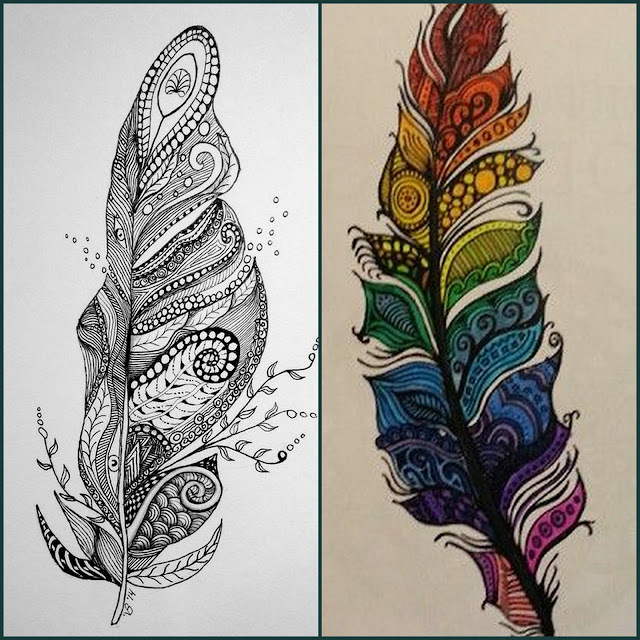 Here we have 2 different feathers, one black and white and one colour. I am sure you will agree they are both stunning. I find it very hard to choose which I prefer. 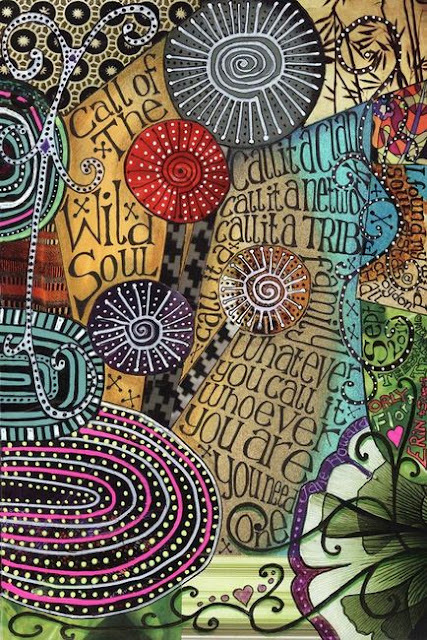 Often text is incorporated into a doodled piece, sometimes as part of the pattern and other times the text is the focal point with the doodling acting as support. 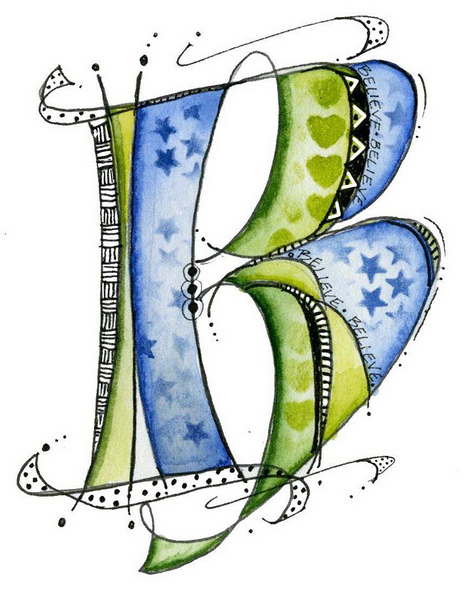 A brilliant way to start with doodles is to make an piece of art inspired by your initial. Note that this one isn't just doodled patterns, there is stencilling in here too. It's a great way to mix the two. 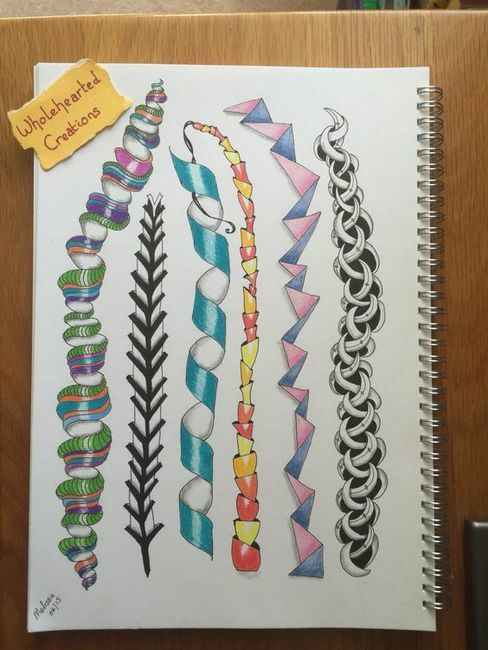 Another simple way to introduce doodles to your book is to use them as borders. This can be as easy as scribbling uneven lines around a word or a whole title or taking it further and surrounding your whole piece. Borders can be broken up with odd scribbles here and there, or make them look like faux stitching, or go all out and make patterned borders. Borders don't have to go all the way around, they can just be dangling from the top of a page like these by Joanne Fink. If you like these she has a book of Dangle Designs. 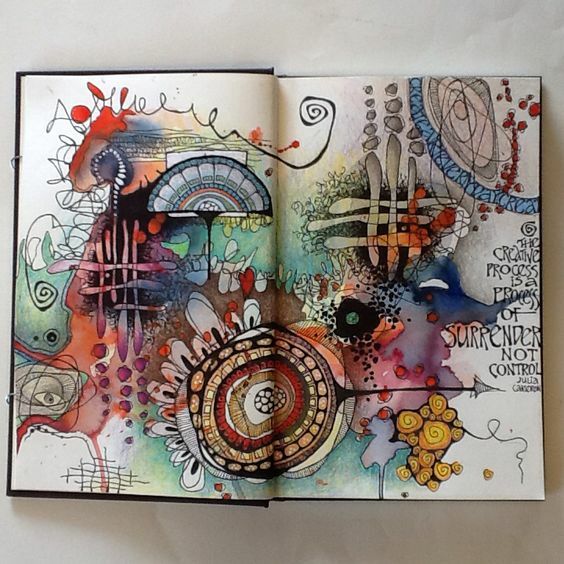 Doodling need not be limited to flat projects such as cards or journals. 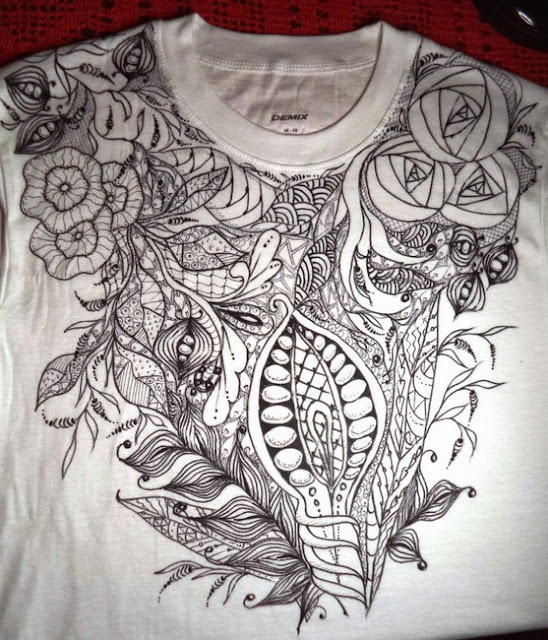 How about doodling a t-shirt, like this one from Victoria ? 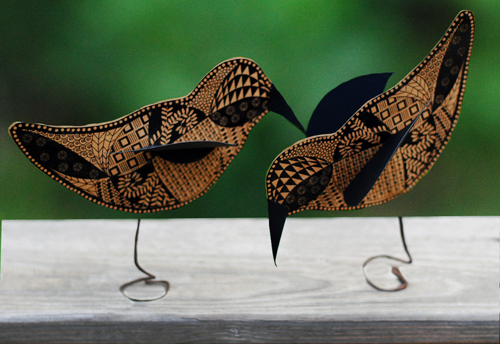 How about a little home decor, perhaps you have an empty window ledge that could be home to a few doodled birdies. ... or why not go big, really big! I can see you all now off to doodle your craft room walls. I really want a wall like this. 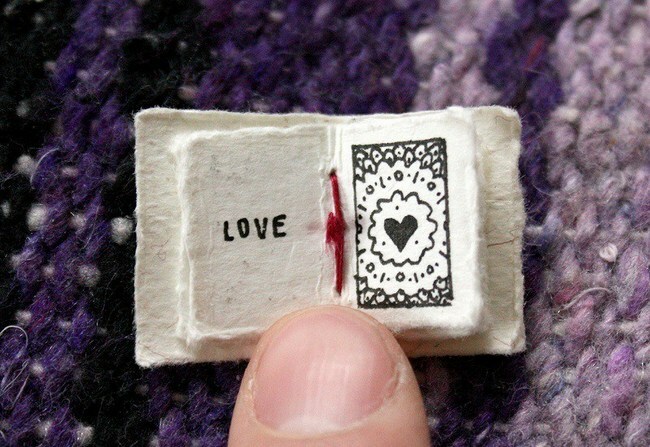 At the other end of the scale we have the tiniest book I have ever seen, by Evan Lorenzen. If you don't fancy going quite that small then there is lots of doodling to be done in regular sized books, though they don't have to be a regular shape. 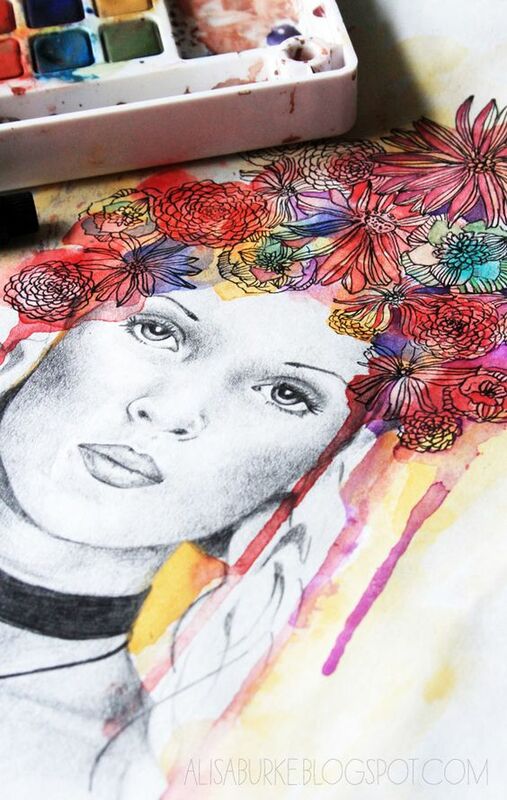 We love mixing things up, so why not combine traditional drawing of a face with doodled hair. If drawing faces is scary, then use one from a magazine and doodle around that. 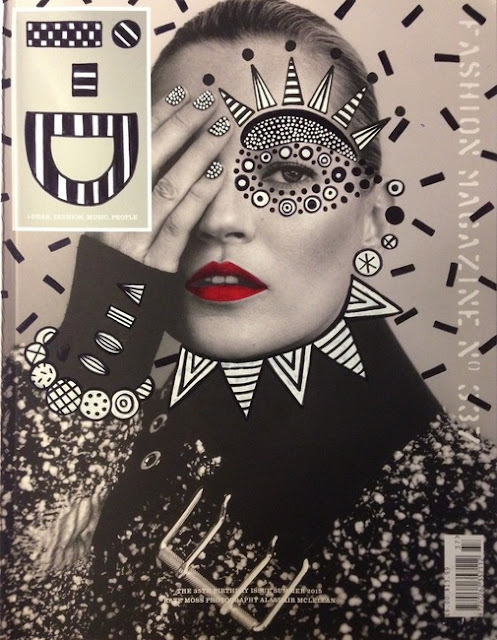 Check out this link to magazine doodles from Ana Strumpf called Re.Cover this could be a really fun project to do with children, or for a page in your journal. I personally love creating doodled animals. 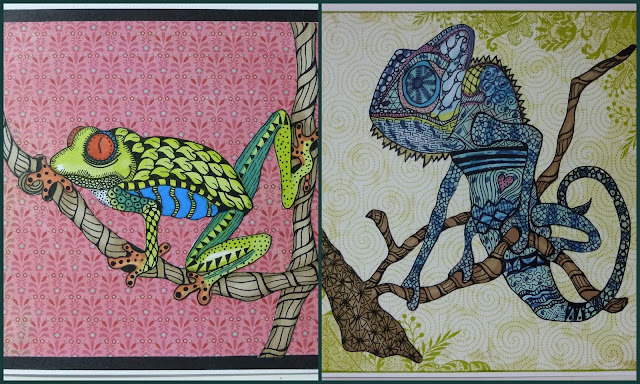 Here are two that I have made,I started with an inked outline, filled this with colour using Promarkers and then added the patterning each one was then cut out and backed onto patterned paper. But what if you can't think of any doodles? Well the lovely Jessica Sporn has a video here showing you how to add doodles using your stamps and some tissue paper. I will finish with this gorgeous journal page, by far my favourite piece found while collecting photos for this intro. Check out Deb Weiers on instagram, her work is very organic. I found this piece first, but after seeing the rest I could have chosen a dozen more. 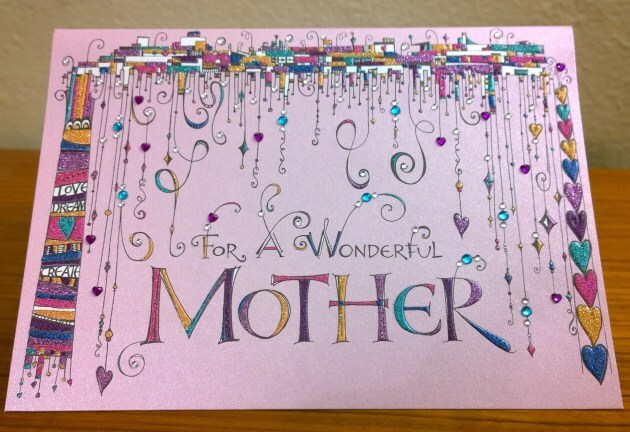 Remember doodles can be as simple as framing a card, or adding extra to a stamped image right through to mega doodles. whatever you do for this topic i guarantee you will get lost in the moment. Have fun. Don't forget to follow Darcy's and Leandra's pinterest boards if this topic pushes your buttons, you will see plenty more examples to whet your appetite there! We'd love you to share your ideas and link up your creative response to our current blog topic, scribbles and Doodling. Take a minute to read the challenge guidelines below. All links go in the draw to win a voucher to spend on products of your choice from the PaperArtsy online store. 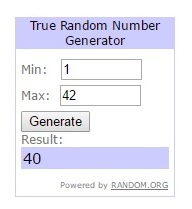 The Doodles link will close 17:00 (London Time) Sunday, May 29th, winner will be announced 2 hours later at 19:00. 2. 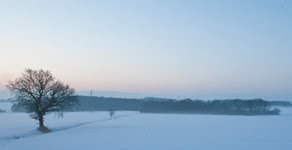 The link you put on our linky page should lead directly to the specific post on your blog where you have explored the technique/ idea mentioned in point 1 above. Don't link to the home page of your blog, or no one can see your specific post. 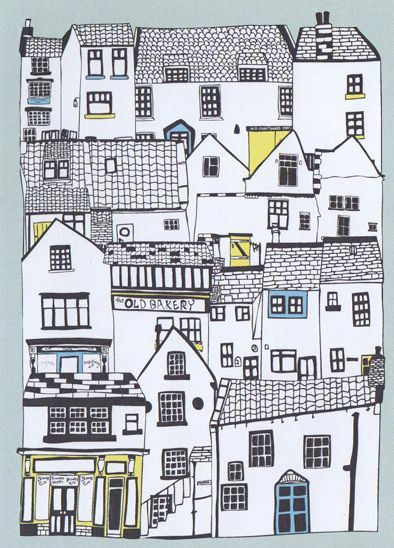 Well done Chris, (and it was a fab entry, too) I love to doodle, can't wait to have a go at this one. It struck me that I haven't doodled in earnest since the phones went wireless! Impressive doodles in this post, quite inspiring of a bit daunting. Congrats to Chris! Stunning examples for this new challenge. 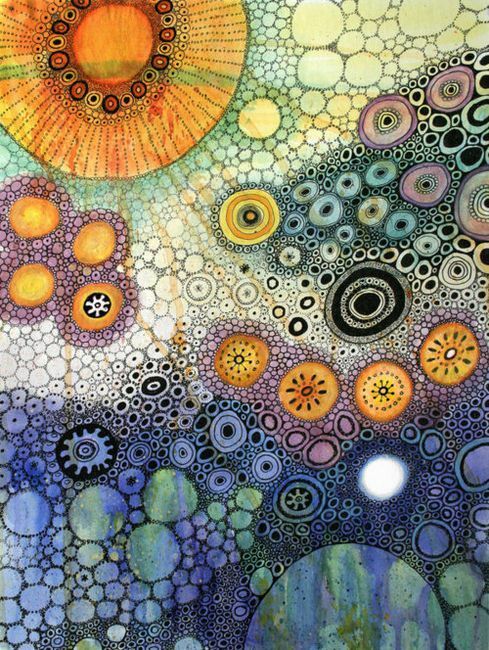 Oh my word, what a fabulous collection of doodle examples. 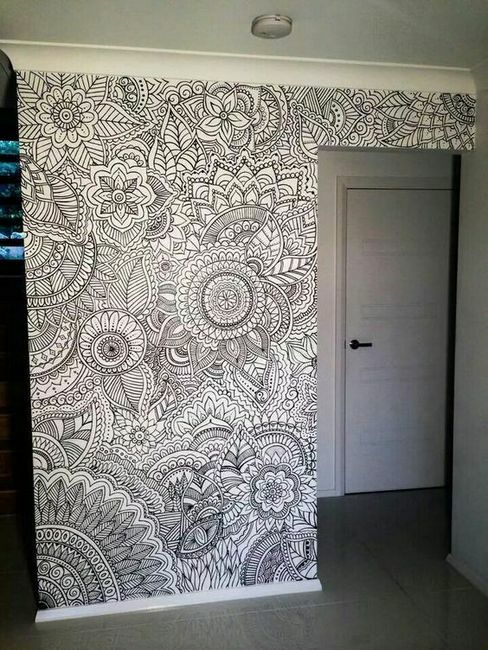 I want a wall like that too! Wow. So many great examples showing how to doodle. I used to doodle all the time, but have difficulty "letting my inner Virgo go". Maybe this will be more impetus to try! Ooh right up my street. I must take part in this challenge. Great exemplars. 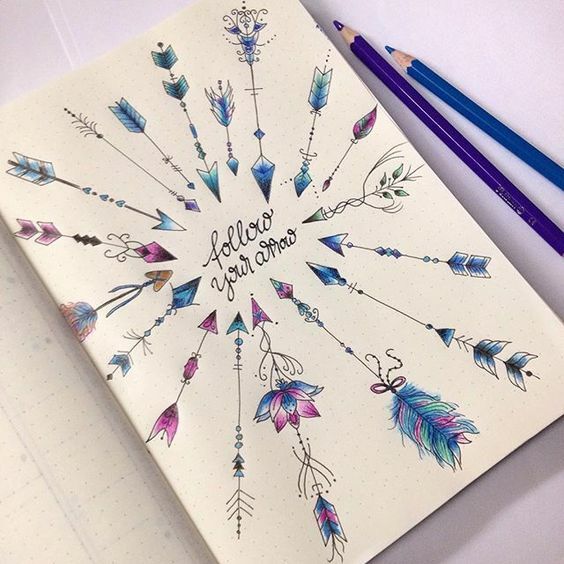 So inspiring I'm Already doodling my name! So glad you mentioned Jessica Sporn. As I was reading from the top I thought you should all go check out Jessica. 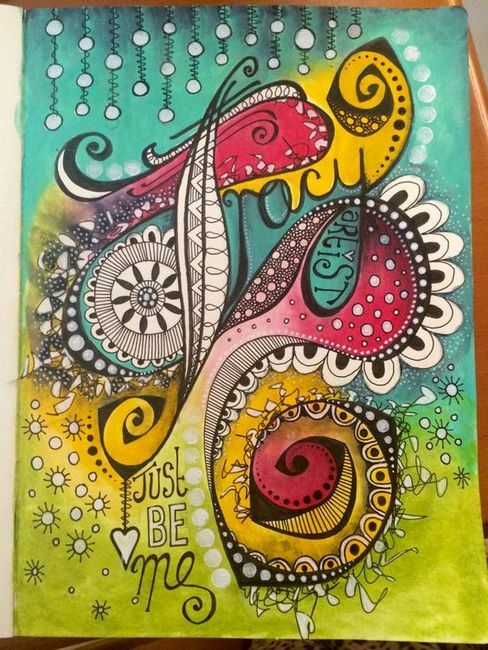 What's so great is she allows you to play ( doodle if you will) with stencils which can just get you going. And for the best illustrated letters I have seen in ages check out her Instagram account @jessica_sporn - she is definitely worth a follow for this topic. What a brilliant and inspirational blog post. A lovely lot of ideas there. What a fabulous challenge!! I love scribble writing in my art journal pages! Such inspiring examples in this post!! Fab post Darcy and very informative. I have to admit doodling is something I very rarely do but I'd like to have a go if I get time because there's some amazing inspiration here.